A lot has happened since ABC's Lost took over the airwaves and excited audiences with its many winding narratives (and eventually frustrated them with one batty ending that still doesn't quite suffice). The show centered on those who survived the crash of Oceanic Flight 815, only to find themselves isolated on a mysterious island with all manner of weirdness. There was a smoke monster haunting everyone at night, an underground bunker with a ticking timer, an entire neighborhood belonging to the people who'd been running experiments there before, and that strange statue. Since wrapping the show, the stars of Lost have gone on to have very different careers. Some have continued to thrive on the small screen, others have become major movie stars, and some have just disappeared from Hollywood altogether. 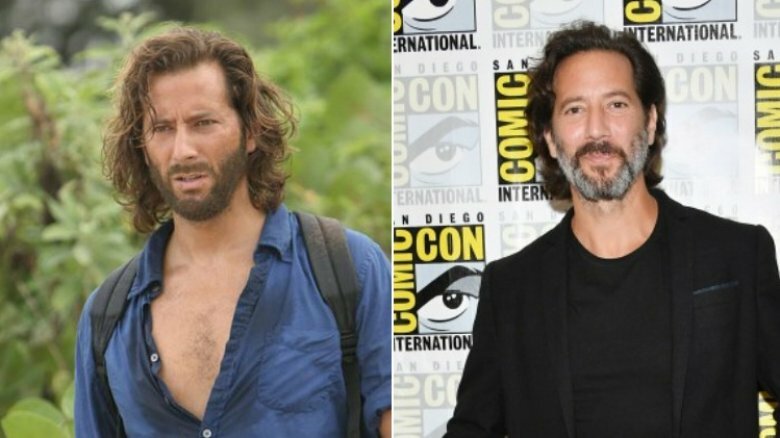 Let's take a look at what the cast of Lost has been up to since the show's mystifying conclusion. 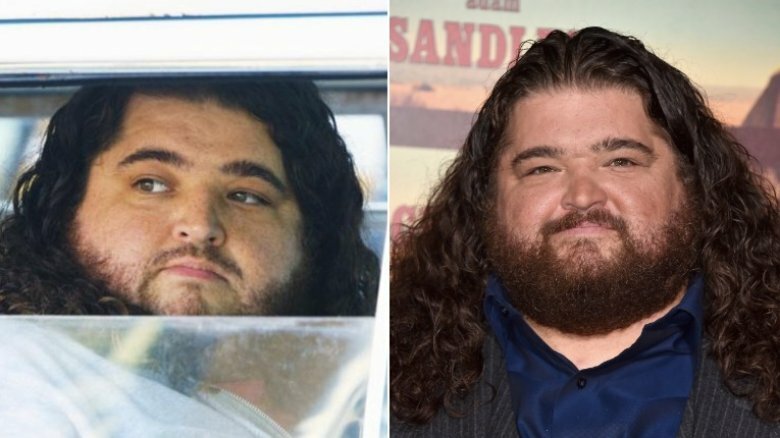 After playing the lotto-winning, numbers-obsessed Hugo "Hurley" Reyes for all six seasons, Jorge Garcia continued to rack up credits on television. The actor earned recurring guest roles in shows like Mr. Sunshine, Alcatraz, Californication, and Once Upon a Time before landing a more regular gig as the helpful conspiracy theorist Jerry Ortega in CBS' Hawaii Five-0. Along the way, he also starred in a few films including The Wedding Ringer, The Ridiculous 6, and Get a Job. You also may have seen him on the cover of Weezer's 2010 album, which was appropriately titled Hurley as a tribute not to his Lost persona, but to the surfwear brand bearing the same moniker. He'll next be seen in his first Spanish-language film, Killing Will Willys, which will debut on Netflix after hitting theaters in Chile, where the movie is being produced. Garcia has indicated that he has a vested personal interest in helping usher in more Latino-centric movies, saying, "We need to start telling our own stories and support each other. The demand is there." 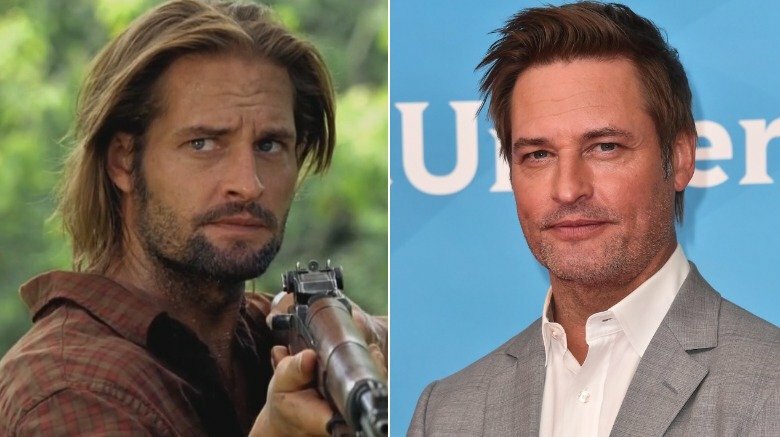 Before becoming the tough-talking James "Sawyer" Ford on Lost, Josh Holloway was still working his way up, with plenty of one-off guest roles and small movie appearances. Ever since, though, he's had no trouble keeping busy. After giving the silver screen a shot with roles in movies like Mission: Impossible – Ghost Protocol, Paranoia, and Sabotage, Holloway came back to the television circuit to star in the lead role of CBS' ambitious cybercrime drama Intelligence. Although that series was unceremoniously cancelled after a single season, it didn't take long for him to nab another futuristic drama, working again with Lost's executive producer Carlton Cuse on USA Network's Colony. The series featured Holloway as Will Bowman, a former Army Ranger who has to figure out how to help his family survive an alien takeover of Los Angeles, quickly realizing that the people on the ground are the most dangerous threat of all. The show was cancelled after its third season in 2018. Like many of her colleagues, Yunjin Kim has continued to thrive in small screen dramas as well as movies after her time on the island was done. Having starred as Sun on Lost — a character with arguably one of the most well-developed arcs of the entire show — she went on to star as a North Korean spy in the film Shiri and earned a starring role as Dr. Karen Kim in ABC's Mistresses. She recently made a big return to the South Korean television scene as the title character in Ms. Ma, Goddess of Revenge, an interpretation of Agatha Christie's detective novels. Like her Lost character, Kim believes Ms. Ma will offer a fresh perspective on personal growth potential, telling the press, "The line, 'Human beings are by nature selfish and nasty,' frequently appears in the show. Miss Ma grows into a better person while meeting with many people to solve her own problem. The message the drama tries to deliver to the viewers is that [that line] is not necessarily true." 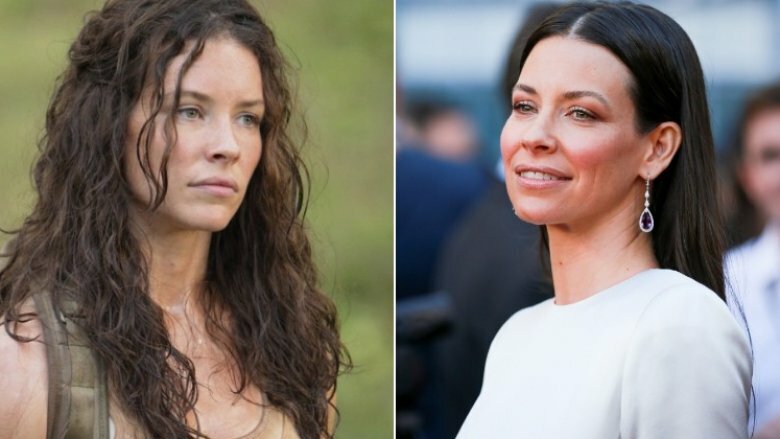 Lost may have been the show that brought Evangeline Lilly mainstream fame as the intrepid Kate Austen, but she's long since established herself outside of the series. She first broke into the film scene with supporting roles in movies like The Hurt Locker, Afterwards, and Real Steel before dipping her toe into franchise-land as as the elf Tauriel in Peter Jackon's The Hobbit trilogy. Soon after, she became a big part of the Marvel Cinematic Universe by appearing as Hope van Dyne in Ant-Man and returning to the role — this time with her own suit and superpowers — in Ant-Man and the Wasp. She's expected to appear briefly in Avengers: Endgame and can also be heard voicing the character Savannah Mason in the video game Call of Duty: Black Ops 4. Lilly has said that her experience with Lost has informed at least one major career choice for her — she's no longer willing to do scenes that would require her to be naked on set after feeling "mortified" during production on the show's third season. 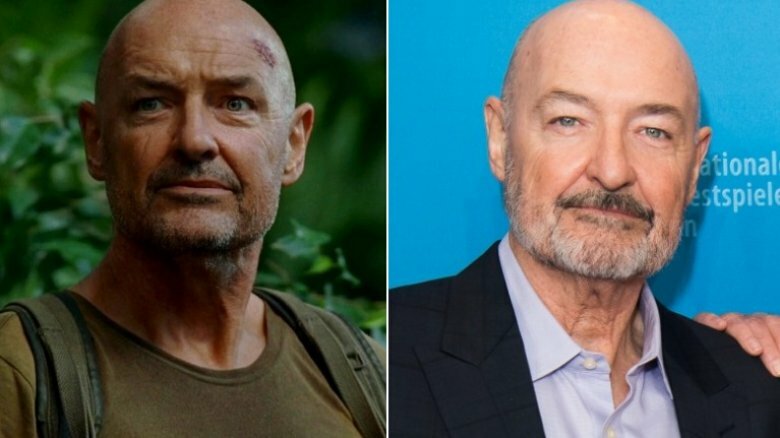 It seems no one has had a more prolific post-Lost career than Terry O'Quinn. The actor's delightfully duplicitous turn as John Locke on the series might have been a career-making run for anyone else (and, to be fair, did earn him his only Emmy), but O'Quinn was already something of a star before he ever set foot on the island, and has duly continued to tear up the television landscape ever since. Among the series that have employed O'Quinn's talents are 666 Park Avenue, Falling Skies, Gang Related, Full Circle, Secrets and Lies, The Blacklist (and its spin-off The Blacklist: Redemption), Hawaii Five-0, and Hulu's Castle Rock. He's not done yet, either. The actor also continues to appear as intelligence officer Tom Tavner on Amazon's Patriot and will star in Epix's thriller series Our Lady, LTD in 2019. 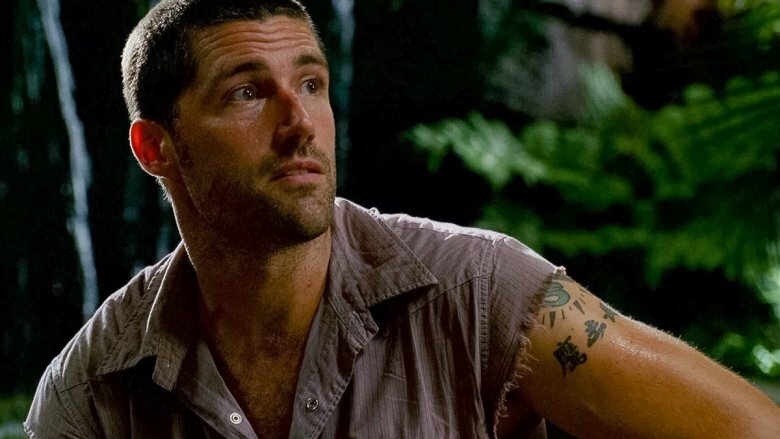 Despite all of his accomplishments, however, the actor says he still gets approached by Lost fans who want to pick his brain about the show's ending or give him a hard time about killing off young Boone. 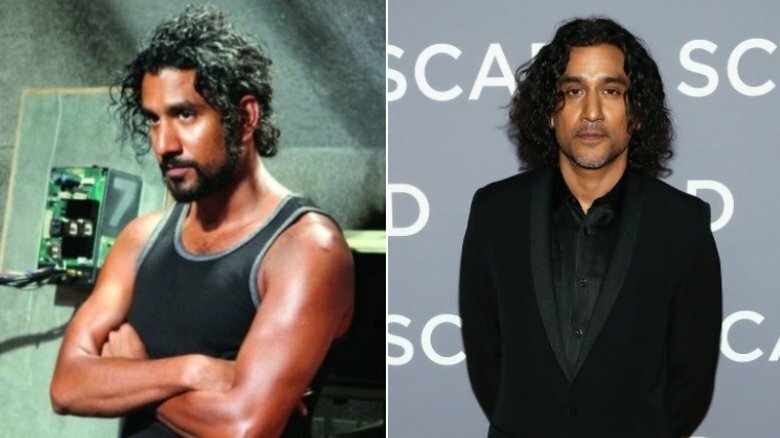 As the former interrogator Sayid Jarrah, Naveen Andrews was at once terrifying and reliable on Lost, which is probably why he was nominated for several TV prizes for the role. However, he has had no trouble keeping the lights on ever since. After starring in the short-lived fantasy series Sinbad, Andrews returned to ABC for the network's Once Upon a Time spin-off series Once Upon a Time in Wonderland for a recurring role as the villainous Aladdin character Jafar. He then returned to the sci-fi realm by starring as Jonas Maliki in the Wachowskis' epic Netflix series Sense8, and most recently landed a major role in CBS's procedural drama series Instinct, based on James Patterson's novel Murder Games. Surprisingly enough, the thing that's really gotten Andrews into headlines lately is the fact that he openly admitted he never watched Lost, despite starring in all six seasons of the hit series. "Maybe 20 years from now," he joked. 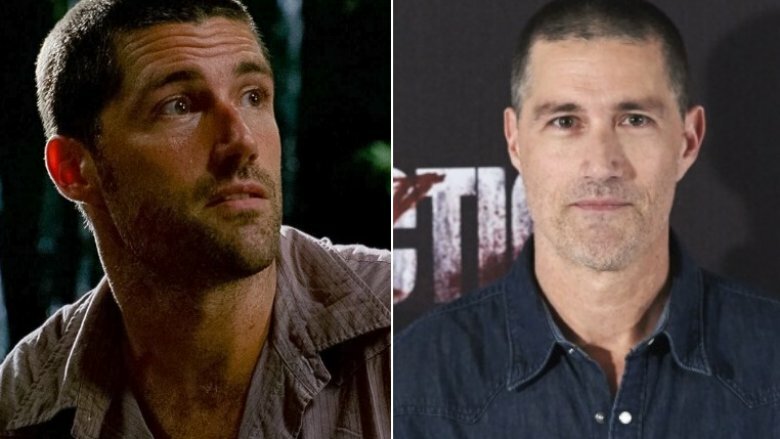 After headlining Lost as the good doctor Jack Shepherd, Matthew Fox has mostly disappeared from Hollywood. Although the actor did try his hand at the film scene, even enduring a complete body transformation for his role as the psychopathic murderer Picasso in Alex Cross, things haven't always gone his way. He was expected to have a much larger part in the 2013 zombie epic World War Z, for example, but due to extensive re-writes and re-shoots on the film which had nothing to do with him, his scenes were cut almost entirely. He went on to star in Extinction and Bone Tomahawk, but has since taken an ongoing hiatus from work. That decision is probably not too surprising to fans who paid attention to his interviews, however, as he told Men's Journal magazine in 2012 that if the "quality opportunities" ever dried up for him, he'd happily step away and enjoy his much quieter life of outdoorsy activities in the Olympic Peninsula. 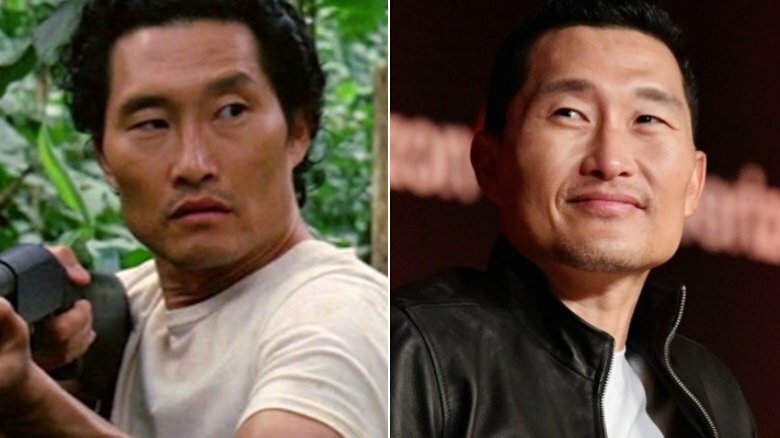 CBS' Hawaii Five-0 has become a landing spot for many a Lost alum, including Daniel Dae Kim, who moved right from one Hawaiian production to the next by headlining the 2010 reboot as officer Chin Ho Kelly. Despite the series' success, Dae Kim departed the show on ugly terms in 2017, after very publicized contract disputes put him and co-star Grace Park at odds with the network brass. Outside of that series, he has also starred in a few films, including the adaptations of Veronica Roth's Divergent series. He will be seen as the mysteriously revived marine Ben Daimio in the 2019 film Hellboy, and his voice is featured in the animated film Mirai. He also serves as executive producer on ABC's hit medical drama The Good Doctor. Dae Kim has been celebrated for his bold decision to stand up for himself in regards to the Hawaii Five-0 pay disparity situation, particularly because it helps shed light on the inequality of pay scales for minorities in TV. He said of the situation, "diversity is more than just a buzzword to me. It's my life." 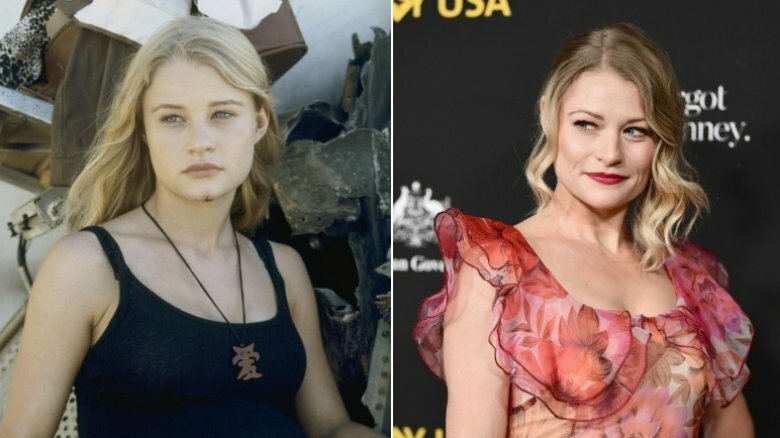 After playing the very troubled nascent mom Claire Littleton on Lost, Emilie de Ravin's career has remained steady. The actress tried her hand at romantic drama by sharing the screen with then-Twilight heartthrob Robert Pattinson in Remember Me. The Australian actress also starred in a few other small films before returning to ABC to reunite with Lost writers Edward Kitsis and Adam Horowitz for their fairytale fantasy series Once Upon a Time. Although she was initially hired to guest star as the princess Belle, de Ravin was soon promoted to series regular. She continued to star in the role until following several of her co-stars in exiting ahead of the Once's seventh season (she returned for the series finale to assure fans that there was no bad blood over the change in direction). De Ravin is now a proud mother and wife to her The Submarine Kid writer-director Eric Bilitch. 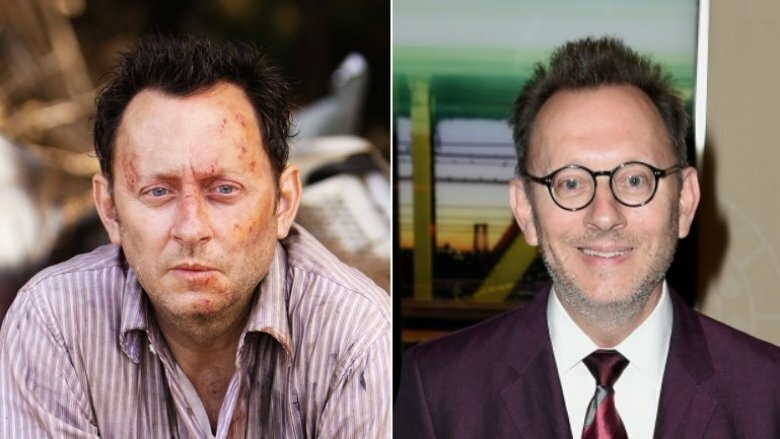 His dizzying turn as Ben Linus on Lost pretty much cemented Michael Emerson's status as an excellent and terrifyingly twisted baddie for the small screen (he'd previously portrayed serial killer William Hinks on The Practice and Zep in Saw). The two-time Emmy winner has no problem continuing to play frightening and quirky characters, following Lost with the roles of billionaire tech tycoon Harold Finch on Person of Interest and mentally traumatized hacktivist Cayden James on Arrow. Emerson is also a celebrated theater actor and philanthropist, but he knows what the fans want from him. "I may play an alien, I may play a pirate, I may play someone who can't speak or someone who is brain-damaged or something. I honestly don't know. I want extremity," he told Bustle of his future roles in showbusiness. "I'm always anxious to play a period piece with an accent. So bring it on, Dickens or Victorian England or Russian Revolution, that kind of stuff. And the more mustaches and eye patches and wooden legs, bring it on. That's the stuff I want to play with!" It wasn't until the second season that the hatch was opened and we finally met Henry Ian Cusick as Desmond Hume. After that, the show would be forever altered by this additional layer of intrigue and mystery, as Cusick's role rapidly increased in size and importance. After Lost, he would go on to enjoy a few recurring guest roles in very different drama series, like Law & Order: Special Victims Unit, Fringe, and The Mentalist, before securing a more regular spot as Stephen Finch on ABC's Scandal. Oddly, he decided against returning to the hit series after the first season because there wasn't much growth potential for his character. He went on to secure work in other small screen series, like Marvel's Inhumans, which featured him as Dr. Evan Declan, and The 100, in which he stars as Marcus Kane. Cusick can also soon be seen in a recurring role as Dr. Jonas Lear in Fox's 2019 series The Passage, about a very dangerous scientific experiment that could hold the key to either eradicating all human diseases or ending life as we know it, depending on how things go. 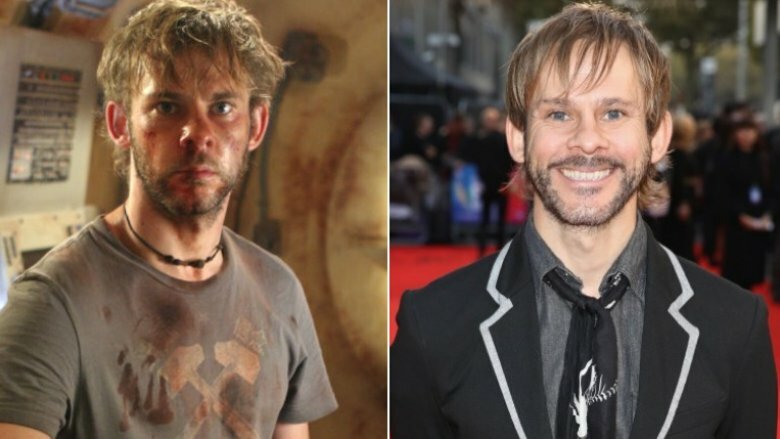 Dominic Monaghan was already famous before he took on his heartbreaking role as the struggling rock star Charlie on Lost, thanks to his performance as Merry in Peter Jackson's The Lord of the Rings films. However, the actor has continued to steadily churn out work in television and films, with appearances in shows like Flashforward, Goodnight Burbank, and The Unknown, as well as movies like Soldiers of Fortune and Mute. Monaghan has also successfully blended his personal passion for protecting wildlife with his professional career by headlining the documentary series Wild Things with Dominic Monaghan. These gigs have all been more low-key than both Rings and Lost, but Monaghan's name may soon regain some of that cache — he's been tapped to reunite with Lost creator J.J. Abrams for a mystery role in Star Wars: Episode IX. He also hasn't altogether ruled out the possibility of returning to Middle Earth for Amazon's upcoming Lord of the Rings television series, saying he'd be delighted to be one of "the older hobbits sitting around reminiscing on their journeys," if that was in the series' plans. We'll see. 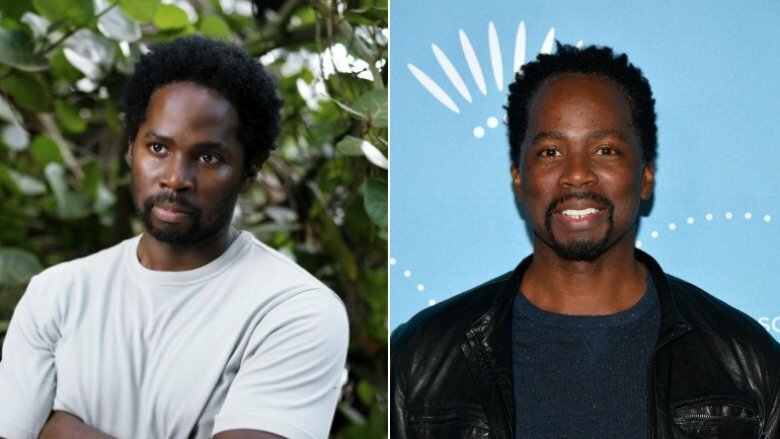 After he made such an impression as the "Wallllt"-screaming Michael Dawson on Lost, Harold Perrineau was as displeased as anyone to see his role come to an end in the show's fourth season, but that controversial decision hasn't hurt the actor's career one bit. He went on to nab regular parts in series like The Unusuals, Blade, and Constantine, as well as recurring spots on shows like Sons of Anarchy, Goliath, and Criminal Minds. His film credentials haven't been too shabby either, as he appeared in Zero Dark Thirty, The Best Man Holiday, and I'm Not Here. Most recently, he enjoyed a starring role in TNT's Claws and a recurring spot on Fox's Star. He'll next be seen in Netflix's highly anticipated adaptation of Julie Murphy's Dumplin'. Perrineau also made headlines recently when he stepped forward to support his daughter Aurora after the actress accused Girls writer Murray Miller of sexually assaulting her. After the tragic departure of Dr. Juliet Burke at the end of Lost's fifth season, Elizabeth Mitchell had no trouble securing new work in short order. She was almost immediately hired to star in a leading role as Erica Evans in ABC's alien drama V. Shortly after that series sputtered out, she nabbed another regular part in NBC's sci-fi series Revolution, which reunited her with J.J. Abrams and ran for two seasons. Like many Lost alums, she also found her way into the sprawling cast of Once Upon a Time, with a recurring arc as Ingrid in the show's fourth season. She also nabbed a big-screen lead as the nation-saving Senator Charlie Roan in The Purge: Election Year. Mitchell has since starred in the short-lived Freeform series Dead of Summer and enjoyed a recurring part in SYFY's space colonization series The Expanse. She'll next be seen in the romantic comedy Welcome to Pine Grove! 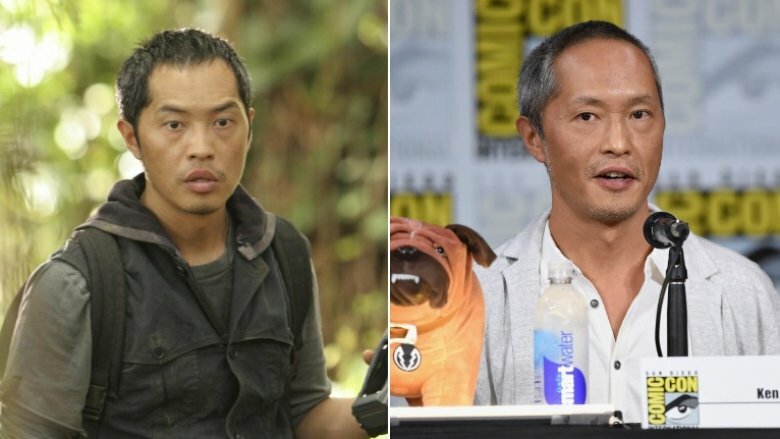 After portraying the snappy medium Miles Straume (a role that was specifically developed for him after Damon Lindelof and Carlton Cuse caught his work on The Sopranos), Ken Leung continued to earn one series role after the next on the small screen, including Person of Interest, Zero Hour, Deception, The Night Shift, and Marvel's Inhumans. He also appeared in Star Wars: The Force Awakens as Admiral Statura, the Resistance squad member who helped plan the assault on the Starkiller Base. Of his still-thriving career, Leung has said, "I never anticipated acting could be a viable profession. Someone at NYU suggested I take an acting class as an elective, and I did. From that point, I was on a path." Now that Inhumans has been cancelled by ABC after a less than stellar inaugural season, however, fans will have to wait to see where that path will take Leung next.